I greatly enjoy historical fiction set during the first and second world war and these books give me a chance to engage my inner history nerd. When I read the premise of this novel, I was suitably intrigued and very pleased to be approved for a copy on Netgalley. 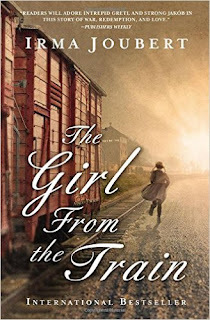 Gretl Schmidt is six years old when she is almost caught in an explosion while on a train bound for Auschwitz; desperate to save them, her mother and grandmother manage to force Gretl and her sister out of the train but remain trapped themselves. Jakob Kowalski is part of the Polish resistance responsible for the bomb and the man left to look after Gretl when she is found in the woods with her increasingly sick sister. Jakob's family shelter Gretl until the end of the war when Jakob is forced to give up the child his family can no longer afford to look after. In search of a better life for her he manages to send her to a new family in South Africa where she is nurtured and allowed to grow into a bright and promising young woman. The development of the pair's relationship in the first half of the story is well told and tender and readers get a real sense of the wrench it is for Jakob to send Gretl away. The story has something of a fairy tale quality in the way it plays out as Gretl (rather predictably) meets Jakob again in South Africa. 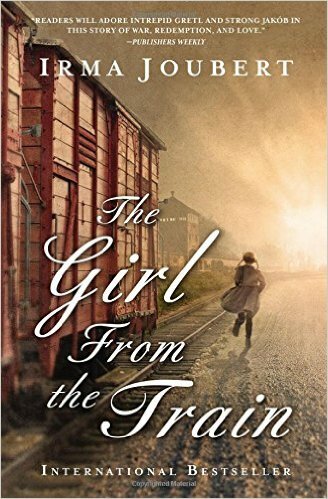 Having seen the young girl suffer and watched as she approached every tragedy with determination and fearlessness it is a pleasure to read about Gretl in her new life. However, I found the scenes with her new mother and father to be extremely twee and sentimental. By that point I had already invested enough in the book to continue to its conclusion, though the second half of the book is not as interesting as the first. Overall the story lacked the grit and unpredictability of a really good novel. It was far more of an easy read than a sweeping historical masterpiece.